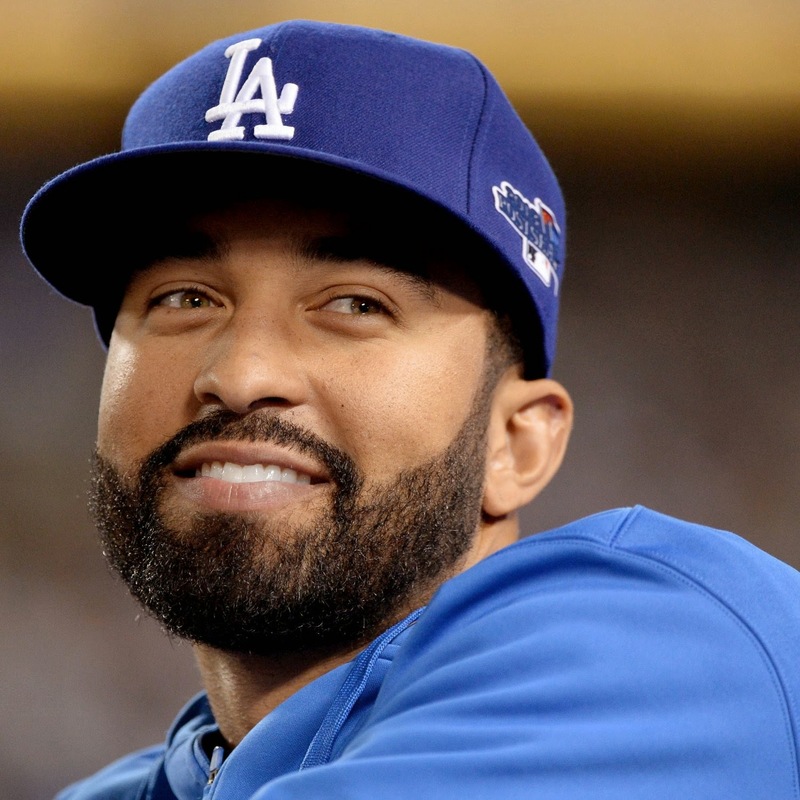 Matt Kemp trade rumors are swirling and that is perfectly understandable with his torrid second half of baseball this year. Kemp rose from the ashes back to being relevant, and that's good when you consider that we all had pretty much written him off after last season. His salary was considered a true albatross and addition to the Dodgers woes. Now, that $106 million he is owed for the next five seasons doesn't seem too overwhelming. Shoulder surgery recoveries take time, and for Kemp, it took two surgeries and two years for him t regain his strength. Adrian Gonzalez warned him of that, as he had the same surgery back in Boston, and his power was sapped for a spell. Now that Kemp's strength has returned, it really wouldn't be surprising if he hit between 35 and 40 homers next season. Whether it'll be in a Dodger uniform is the real question now. Though many have written that Andrew Friedman has moved on to a team that is capable of buying the World Series, what they aren't realizing was that the Colette regime had pretty much maxed out on spending by the time he got here. The Dodgers are a team loaded with over paid contracts for underperforming players. It's safe to say that Crawford, Ether, League, Wilson, Uribe, and even Kemp and Gonzalez are actually overpaid. It frankly wouldn't surprise me to see Friedman peddle off some of those expensive players, like Kemp (their most attractive chess piece), in order to lower payroll and make the team younger. If Crawford or Ether leave via trade, you can count on the Dodgers eating a good portion of those contracts. That's not what a lot of fans want to hear, but all signs point to it so far this off season. The Dodgers are lowering payroll. I could be wrong, but I don't think so. Patience Dodger fans...patience will be the word with this administration. Building a young nucleus with this team won't happen overnight. I have a hard time accepting that the MLB team in Japan is an "All Star" team if Drew Butera is on it. The Farhan Zaidi hiring is a good one. The Dodgers are definitely going in a far different direction now with Freidman, Kaplar, Byrnes, Zaidi and Gasparino in the fold. The way we looked at Dodger baseball from the past is gone. Watch the innovative moves that will be coming our way. 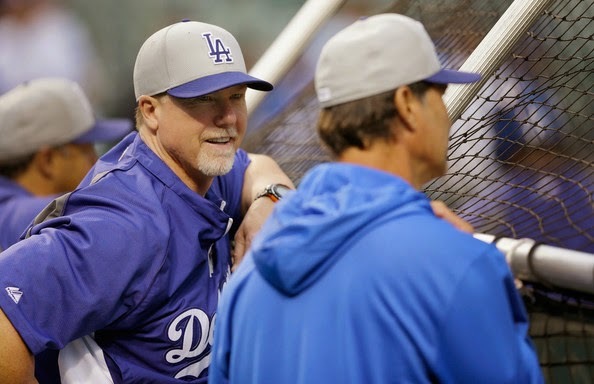 If we see Mattingly platooning a lot next year, we'll know for sure who is calling the shots in the Dodger organization. 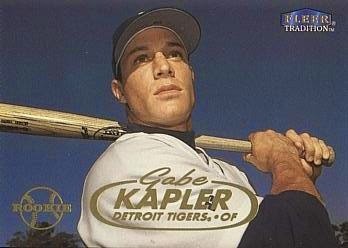 Having read Kapler's articles over the past few years, I'm convinced that he is in the right place working in the farm system. He's a strong proponent of teaching fundamentals, and drilling them in at the lower levels. It might take a few years, but watch for improvements in this area. Maybe we won't have to hear Vin Scully repeatedly say that run down plays are continually botched by seasoned veterans. Arizona Fall League performance of Scott Schebler is showing that the Dodgers have another fine outfield prospect in their system. Over 69 ABs in, Scott is hitting .297 with three homers. Not bad for the kid that broke out in pitcher friendly Chattanooga with 28 dingers last season. Watch for this kid in Spring Training and at Oklahoma City next year. The collaborative team of young Dodger executives in place is a very interesting development. It'll be interesting to see how decision making takes place and the hierarchy of power that will be in play. It's quite a change from the days of Buzzie Bavasi and later Al Campanis, (and even Fred Claire). Player personnel administration is truly a team effort. Hopefully they are able to get Mattingly to manage according the the players strengths where he'll take advantage of the chess pieces the brain trust gives him. The entire coaching staff returns, meaning that they will be given one last opportunity under the new regime. I suppose that's fair, but I almost wish they had blown the whole thing up and started over. Truth is, I'm thinking that Friedman has certain individuals that he has in mind for field managerial and coaching decisions. The Dodgers went down this road with DePodesta back in '04-'05. Jim Tracy was forced on him and he never managed according to the "moneyball" playbook and the roster that DePodesta had assembled, hampering DePo from the get go. We'll see how it happens this go-around. It looks like Hanley Ramirez will seek out greener pastures. And by green I'm referring to money. No surprise there. As much as Hanley was a china doll out there, I loved his bat and the threat it posed. I think he'll be missed. 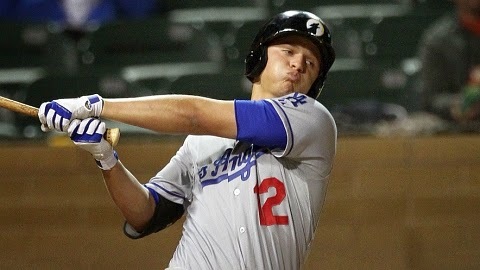 I still think that if Corey Seager does well in Spring training that the Dodgers should start him at shortstop. I know he could use more seasoning in the minors, but this kid is special. I think he has the maturity to survive the inevitable difficulties he'll have in the bigs. Dodger fans are gonna love this kid. And he is a SHORTSTOP, not a third baseman. Seager is not too tall to handle the position. Ask Cal Ripken. Troy Tulowitski has expressed interest in possibly being traded to the Yankees or Dodgers. New York is probably a better fit, but he'd be an amazing acquisition if the Dodgers got him. How that could happen, I haven't a clue. Considering my earlier thoughts on Corey Seager not being too far away from the majors, I don't see room for him unless he agrees to move to third. The "he" I refer to here is Tulo going to 3B, and not Seager. Seager is not a third baseman, nor has he been playing there at all. It would be unfair to try to transition him over to 3B at the major league level. Is this not the slowest paced off season we've ever experienced? I know the days are dragging for me. I might hurt a few feelings with this short piece, but that never got in the way of me saying what I perceive to be the truth. 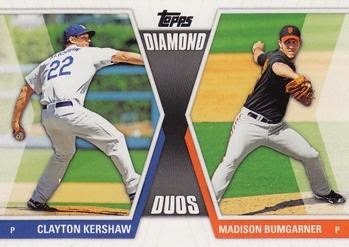 Some friends have posted on a Dodger related bulletin board that they would hands down take Clayton Kershaw over Madison Bumgarner based on statistical comparisons. I understand their loyalty to Clayton, who will be the Cy Young Award winner again and most likely National League MVP as well when 2014 MLB awards are handed later this month, but they are failing to look at the big picture. Compare the two left-handers stats and over the 162 game season, and the number shows that Kershaw is better. That is if you don't factor into that post-season play. So sure, ignore the greatest post season pitching performances since Christy Mathewson. That's fair, right? That's like saying we love how our favorite Nascar driver and his car have performed in the Daytona 500's first 199 laps while it's in first place, but then ignoring that it broke down and was passed in the final lap. What it comes down to is that the job has to be finished, and that includes the additional 11 victories that a team must attain in post-season play to win the whole thing. You throw out those games from the statistical mix and the comparison is incomplete of it's most important comparable component. This game is all about championships and Bumgarner has three of those and significant contributions in all of them. Clayton has failed in his postseason performances, and more than once. So it come down to a simple question: what would you rather have? A player with an MVP and a couple of Cy Young awards OR a team with three World Series Championship trophies over five seasons?